Each year, thousands of people experience cardiac arrests away from hospital, and only 10% of those victims end up surviving. CPR can be a potentially lifesaving procedure, and the Rebreath Resuscitation Shield with Valve ensures that you also keep yourself protected while performing it. The shield takes the form of a plastic film with a one-way valve that allows for expired air ventilation for safer and more effective resuscitation. Cardiopulmonary resuscitation, or CPR, is a procedure where someone performs emergency chest compressions to a casualty, along with a series of rescue breaths, in order to aid their blood and oxygen flow during cardiac arrest. Without CPR, a person suffering from cardiac arrest will die within minutes. 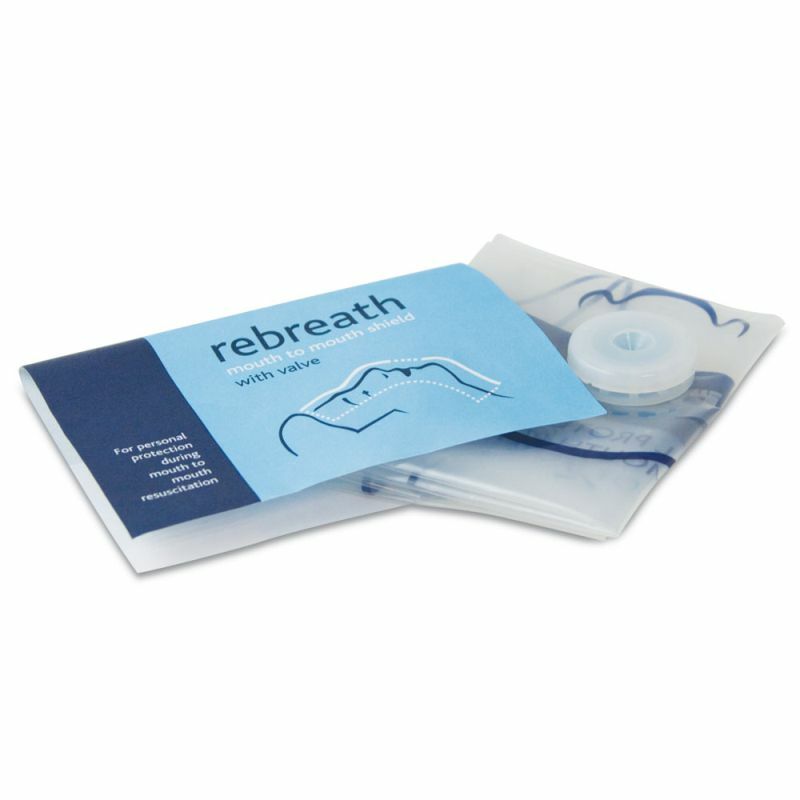 The transparent plastic film of the Rebreath Resuscitation Shield also contains a one-way valve that allows expired air ventilation for a safer and more effective method of resuscitation. This devices acts as a practical barrier to help avoid contracting infection and bacteria while performing mouth-to-mouth resuscitation. Resuscitation Shields should be stocked in all first aid kits that don't already have one, and this pack of ten will ensure that you have plenty to spare whenever emergency strikes. Acting quickly during cardiac arrest is vital, so knowing that you have these devices on hand will make sure you start resuscitation quickly. The Rebreath Resuscitation Shield with Valve is usually dispatched via First Class Royal Mail and delivery should be within 1 to 3 working days.